Things between Firefox and Google have taken a turn for the awkward. Since its inception, Mozilla has always received a lot of funding from the search giant. However, analysts have been expecting Google to drop out of that role ever since the company launched its very own web browser, Google Chrome. Ever since Chrome was released and those analysts made their predictions, they have all been sorely disappointed, until now. Google has just announced that the company will no longer include support for new versions of Firefox with its Google Toolbar. Many analysts' predictions have finally come true though this may spark another prediction, one that announcse that a new browser war has just been started. However, that seems highly unlikely. The main reason Google is dropping support is due to the fact that Firefox already offers a lot of the benefits that the Google Toolbar offers, whether it be natively or through the immense amount of add-ons that Firefox offers. Google is being very courteous about the dropping of support. 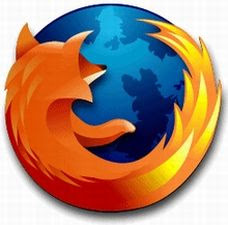 The company will continue to offer Google Toolbar for older versions of Firefox and even created a webpage that was designed to help former users of Google Toolbar find similar functions in Firefox 5 and later versions yet to come. The Google Toolbar Blog has the full announcement if you are interested. What do you think? Are you upset about Google dropping Google Toolbar support on later versions of Firefox? Or does the browser have enough of its own features to fill the gap? If you really can't live without the Google Toolbar, you can always switch to Google Chrome. It works well enough for me to work on every day.